Following corruption allegations that forced him out of office, ex-President of South Africa, Jacob Juma, has appeared in court today to face charges. Zuma has been charged with corruption linked to a 1990s arms deal, according to a report by the BBC. 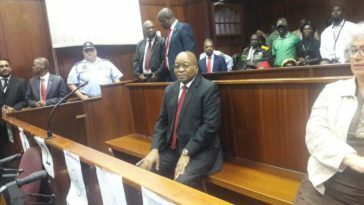 The 75-year-old appeared at the High Court in Durban on Friday morning as the judge adjourned the case until 8 June. His supporters descended on the city to rally for him, while his critics think court action is long overdue. Mr Zuma smiled and gave a thumbs up to the crowd as he arrived at the court in his home province on Friday. 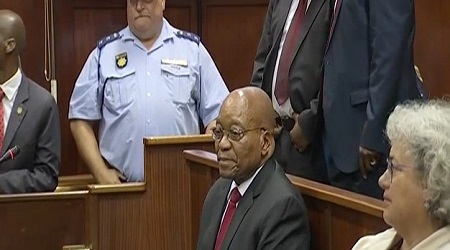 The BBC's Andrew Harding said the former president appearing in a dock on corruption charges was "hugely symbolic" for South Africa's young democracy. Many, he reports, see it as an era of impunity coming to an end. Mr Zuma and his legal team insist the charges are trumped up and politically motivated.